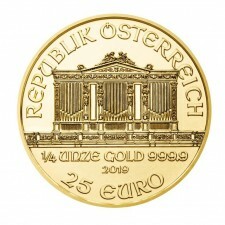 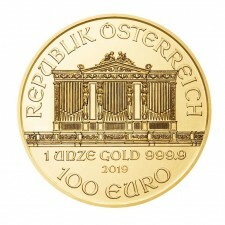 One of the world’s most iconic gold bullion coins, the Philharmonic is the only gold bullion coin denominated in Euros (though versions made prior to 2002 are denominated in Austrian Schillings). The design features a variety of musical instruments on the Reverse and the pipe organ of the Vienna Musikverein’s Great Hall on the Obverse. 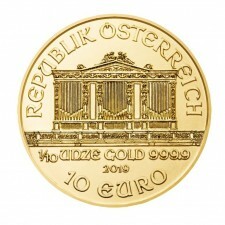 Produced in four denominations, the one ounce versions are the most popular.